300万ダウンロード突破記念キャンペーン開催! 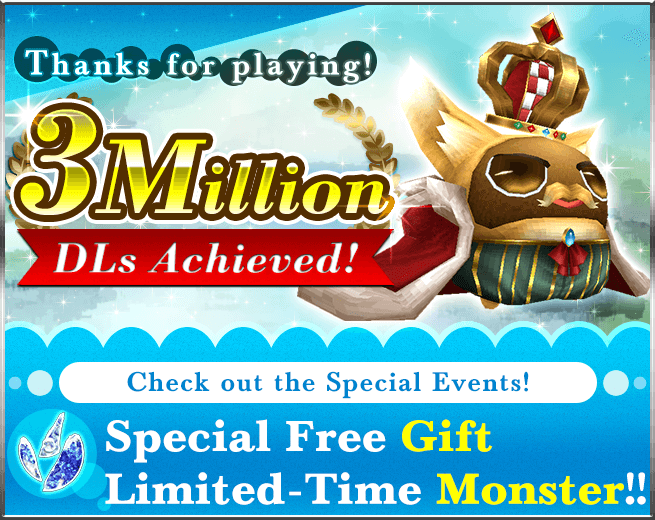 / 3 Million Download Campaign! 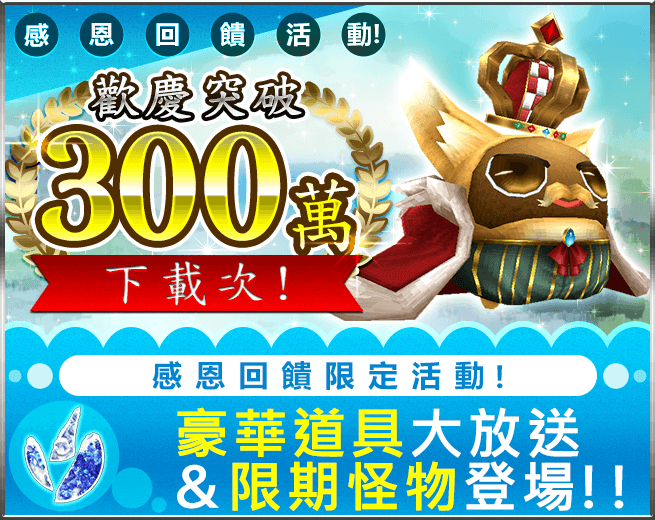 English / 3 Million Download Campaign! 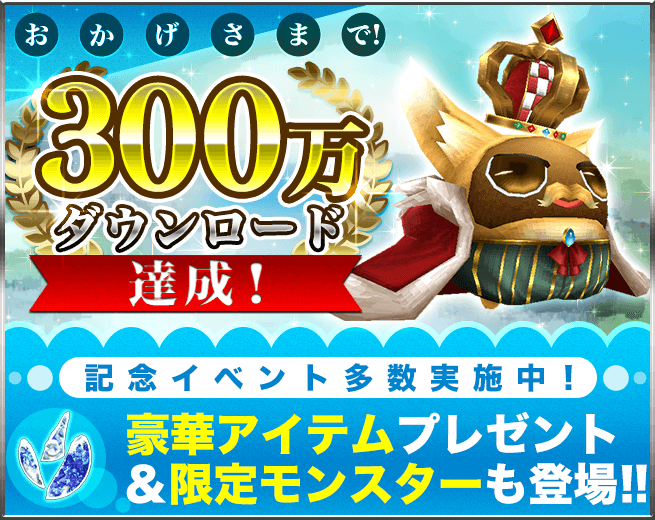 Thanks to your help, Toram Online achieved 3 million downloads! To celebrate this, we will hold special events for a limited time. Get Limited-Time Equipment from Gold Potum! “Golden Potum” will appear in certain maps during the event period. “Golden Potum” drops limited-time equipment with a special color! Check the color with your own eyes! Login Everyday and Get “Orb Shard”!! If you log in during the following period, you can get “Orb Shard x30″ per day!! Also, if you play the game more than 1 hour, you will get another “Orb Shard x30″!! This is the special chance to get Orb Shards worth “Orb x9″! Get 3 Million Download Pack for FREE! We will gift a Serial Code to get the special item pack to celebrate 3 million downloads! Make full use of these items and enjoy your Toram life! 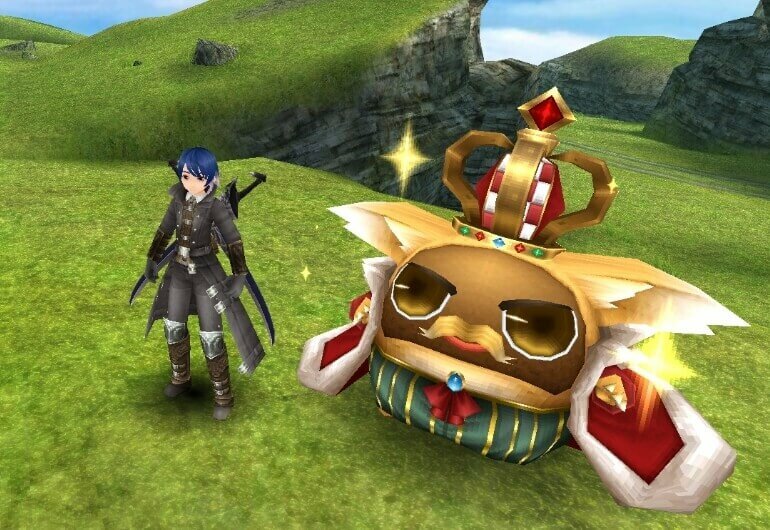 Who will get Orb x30?! Twitter RT Event! 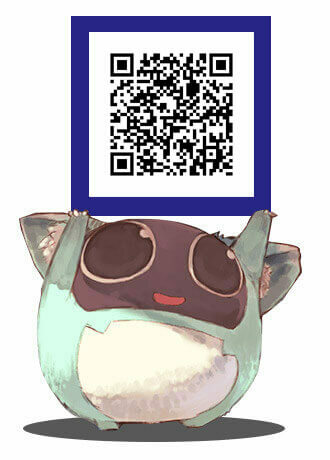 Follow our official Twitter account “トーラムオンラインの広報ポトゥムさん(@toram_pr)” and retweet the specified tweet! 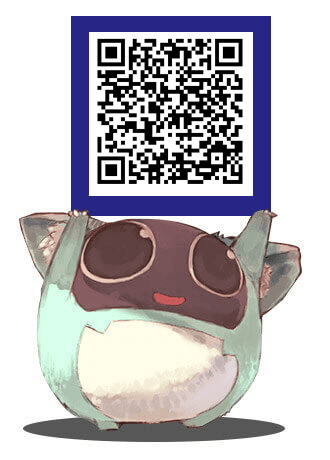 3 accounts will be selected at random and we will gift Orb x30! We will announce how to receive Orbs later. Play Hide and Seek with GM! Let’s play Hide and Seek with GM “Calras”! Can you find him in the vast world…? 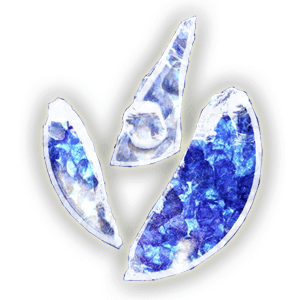 If you find Calras, we will gift “Orb Shard x300″! The channel and place in which Calras is hiding will be announced as quizzes in Sofya City, English (EN) World 1. If you want to participate in the event, please gather up in Sofya City. You can check the announcement in any channel as long as you are in Sofya City. 400万ダウンロード突破記念キャンペーン開催! / 4 Million Download Campaign! 30雫玉は誰の手に!?300万DL記念RTキャンペーン当選通知送付のお知らせ! / RT Campaign Result Message Sent! 30雫玉は誰の手に!?Twitterでフォロー&リツイートキャンペーン! / Who will get Orb x30?! Twitter RT Event!